Colaba is a haven when it comes to shopping for you and your loved ones, and not once has it ever let us down. This time ‘round, we decided to walk on causeway after some time and discovered a goldmine when it came to affordable clothes shopping for us women. 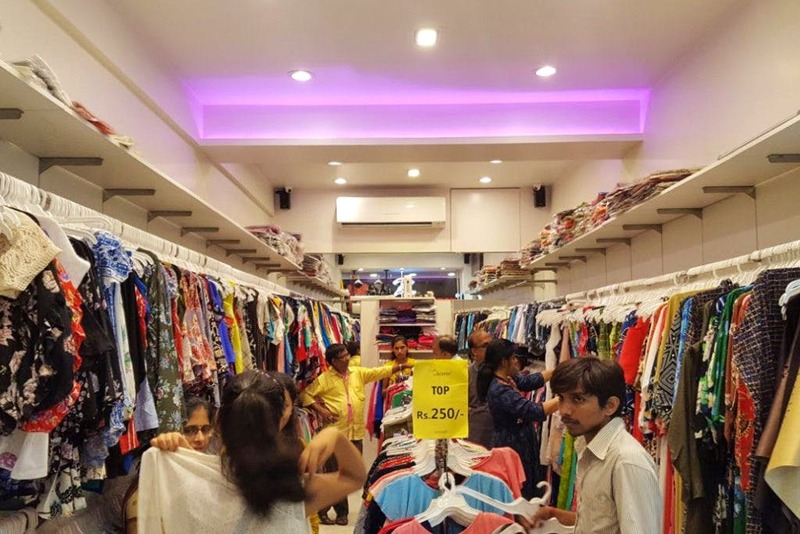 The Jackpot is a garment store, just like so many others in the area, but what made it stand out was the sheer variety of clothing options available for women (believe us, the store was absolutely packed) and how affordable it all turned out to be (spent INR 900 for four tops). While they have another outlet in the city in Powai (Hiranandani Galleria) the town store keeps all sorts of clothing like tops, t-shirts, shrugs, kaftans, kurtis, dresses, one-piece gowns, skirts, palazzos, leggings and even scarves. They only deal in the latest designs and trends, and all of them at affordable pricing. From INR 300 to INR 900, you can be sure to get some real steals and walk out so happy. The owner’s love for fashion is deep, because of which they have so many options when it comes to tops. You’ll find a mix of cold shoulders, off shoulders, bell sleeves, ruffle patterns, crop tops and so much more. While there are many reasons to visit town, this should be on that list. For all that you get and for the prices you do, it’s a steal. And after this, you could head out to some of our recommended cafes in Colaba and just chill out. It’s win-win, isn’t it?